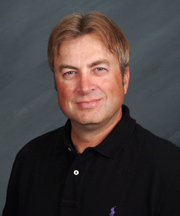 Bruce Hawkins, RPT - Regional Physical Therapy, Inc.
We have sorrowfully lost a trusted friend. Bruce Lee Hawkins, 47, was born June 20, 1961 and passed away June 2, 2009. Bruce graduated from Carl Albert High School and continued his education at Langston University where he graduated with a Bachelor of Science degree in Physical Therapy. Bruce was a pioneer in the Physical Therapy program. He was an eminent part of the Langston University Physical Therapy program and in the second graduating class of Physical Therapists from Langston University.